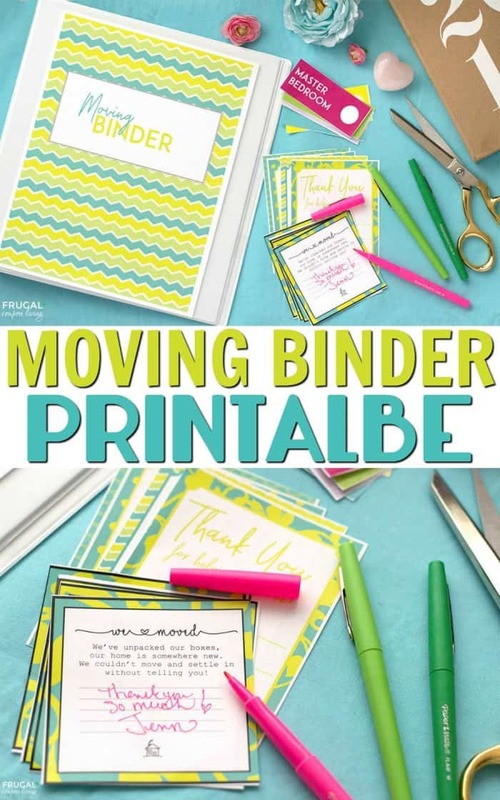 FREE Moving Binder Printable on Frugal Coupon Living. 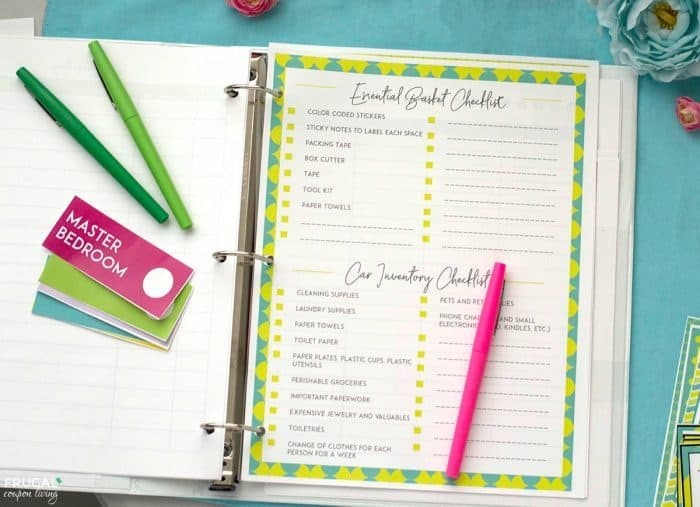 Printable budget checklist, change of address checklist, box labels, thank you notes and more. When moving, I discovered the key to moving is being organized. 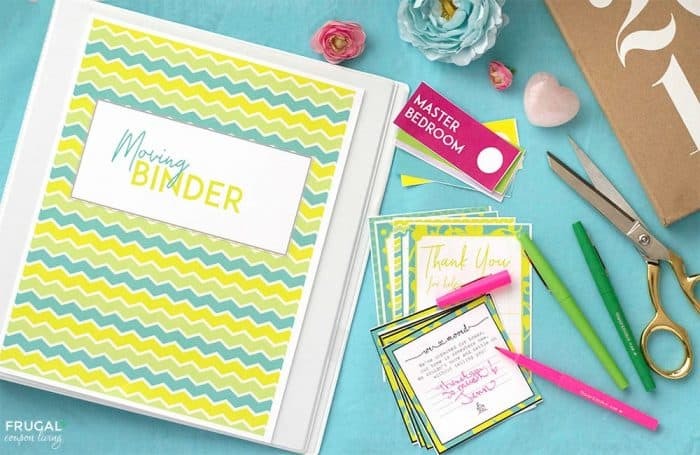 We created a FREE Moving Binder Printable, just for you! Not cost involved. Enjoy it and personalize it for your home! Print out as many as you need. We have left the dates open so you can personalize the number and months to your schedule. Organize your purchases with a list of where you bought the item, the budgeted amount and how much you spent. This can be more purchases bigger and smaller! When you move you need a basket that has all your supplies. 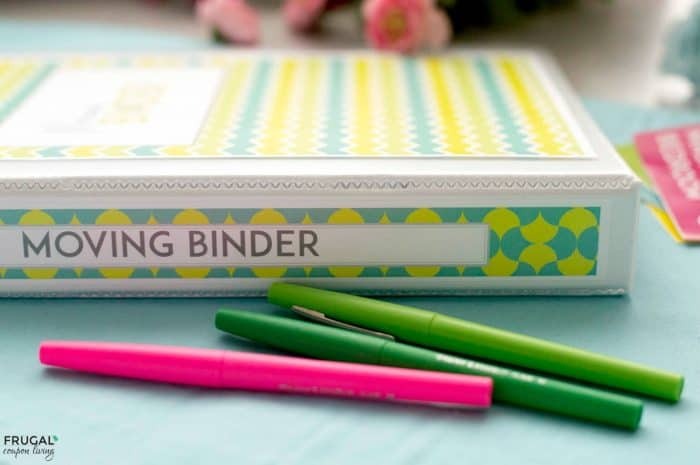 This includes a box cutter, sticky notes, packing tape, scissors, permanent markers, tool kit, etc. You also want to include some items in the car – things that do not get stuck on the moving truck. Get cleaning and laundry supplies, pet food, perishable groceries, 7 days of clothing, etc. This checklist includes the cost of moving supplies as well as opening and closing utilities. This includes the name of the company, account numbers, cost, etc. This would be a good resource/page to print multiples. If time permits, even if just a day, we provided a checklist to clean your new home BEFORE you move in. Trust me, you will thank me later. This also provides a deep clean before furniture and boxes get in the way. We have created a color coded label for each area of the home. WE left some blank for your personalized use. We also included labels for fragile boxes! 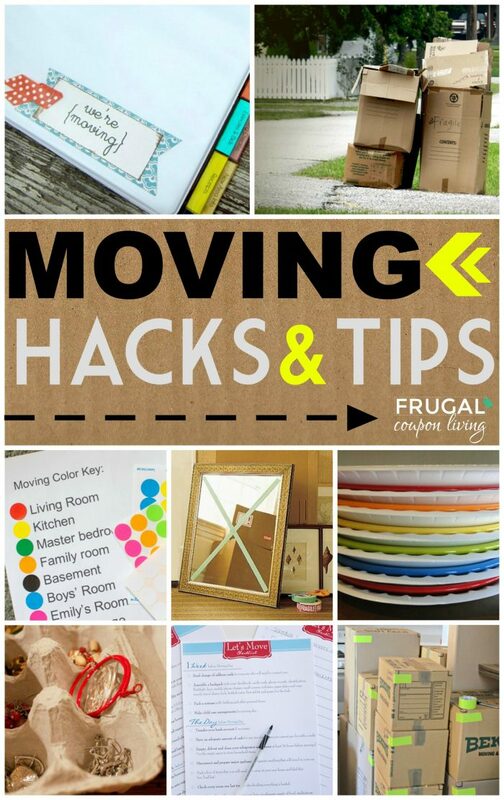 Be sure to take a look at our Moving Hacks and Tips. Pin to Pinterest. We also created a Free Moving Printable – We’ve Moved! Pin to Pinterest.